If you’ve had your phone for a couple of years then your battery could be starting to wear down. Have a look at our quick guide to see if your battery could be coming to the end of it’s life, what to do about it, and how to get the most out of it. All rechargeable batteries lose their effectiveness over time and sadly the battery for your iPhone is no exception. As the battery gets older it may start to require charging more frequently, hold charge less well, or even start to shut down your phone unexpectedly. Once your iPhone’s battery passes the 500 complete charges point it’s suggested that it should be replaced. Unfortunately iOS doesn’t indicate how many times your current battery has been charged, but there are some other ways to check up on your battery’s health. Apple has promised that in early 2018 it will issue an iOS software update with new features that “give users more visibility into the health of their iPhone’s battery, so they can see for themselves if its condition is affecting performance”. Head into the Settings app. If the iPhone battery needs replacing you will see a message at the top of the page warning that your battery needs to be serviced. If you see a warning at the top of the page suggesting that your battery needs to be serviced, this indicated that your battery has either reached, or is close to 500 completed charges. If you do have this message, don’t worry too much. 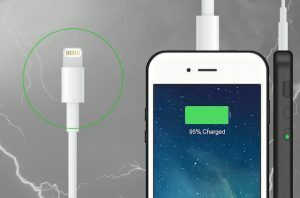 You can continue to use your phone, but you may experience reduced charge capacity and some slight stability issues while your battery is on lower charge. Having your battery seen to by an official service technician is the best way to proceed, which may result in getting a new battery or having your current one fixed if there are any issues. 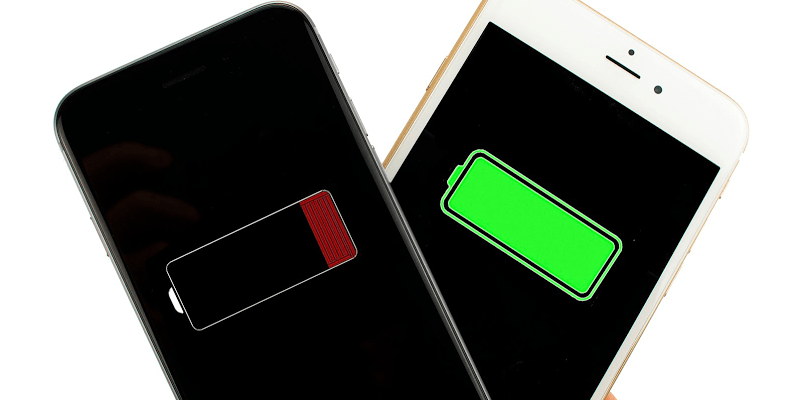 Here are some indicators that your iPhone might require a new battery: dimmer backlight than normal; lower speaker volume; stuttering screen when scrolling; frame-rate reduction in some game apps; and longer app-launch times. If you’re covered by AppleCare then you can actully have your battery replaced at no additional cost, assuming it currently only holds 80% or less of its original charge. Make sure Auto-Brightness is enabled. Use Airplane Mode when you don’t need to be connected to the internet.